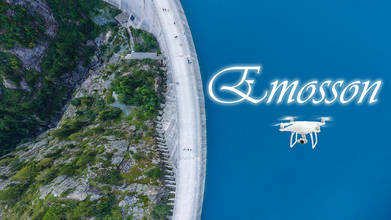 Description: The Émosson Dam is a hydroelectric dam development located in Switzerland in the canton of Valais. Halfway between Martigny in Switzerland and Chamonix in France, VerticAlp Emosson is a unique rail system allowing visitors to access a natural site nearly 2,000 m (6,500 ft) above sea level. There ia an unparalleled view of the famed Mt. Blanc, the highest peak in the Alps. it’s the Swiss’s second largest dam (capacity 227 millions m3).